The Escapist's newest channel has expanded to include several new partners from around the web. With the launch of the Escapist Extras Program (Also known as EXP) over a month ago, The Escapist is happy to have added several new program partners, each bringing their own exciting content to The Escapist's newest channel. Becoming famous is hard. Becoming famous on the Internet doubly so. Follow the adventures of Dan and Dave, creators of the webcomic Sketch, as they try to discover just what it takes to find fame and fortune in the most lawless place known to mankind. Will they succeed? Probably not. Find out every Monday at noon! Gamerhub.tv brings you the biggest names in entertainment, sports and video games through exclusive interviews from events big and small all around the globe from E3 to Comic-Con to Gamescom. The site talks to everyone from game developers to Hollywood celebrities to Hall of Fame athletes about the burgeoning video game industry. The site has camera crews based in Los Angeles, New York City and San Francisco to capture events, world premieres and other big gaming and entertainment personalities. Because the real world couldn't handle this much awesome, we at Smosh decided to make some cartoons. So Shut Up! and watch them. And then watch them again because they are much funnier the second time. A veteran Let's Player, Vintage Beef is bringing Steve vs. Steve, a Spy vs. Spy inspired series set in the Minecraft universe, to EXP. 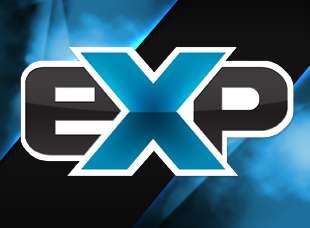 As the EXP program grows, be sure to keep an eye out for new content and program partners and, if you have a favorite game-related video producer, game reviewer, YouTube personality, or other creator you want to recommend, please let us know in the forums.